This is a quick post to show my Christmas presents. 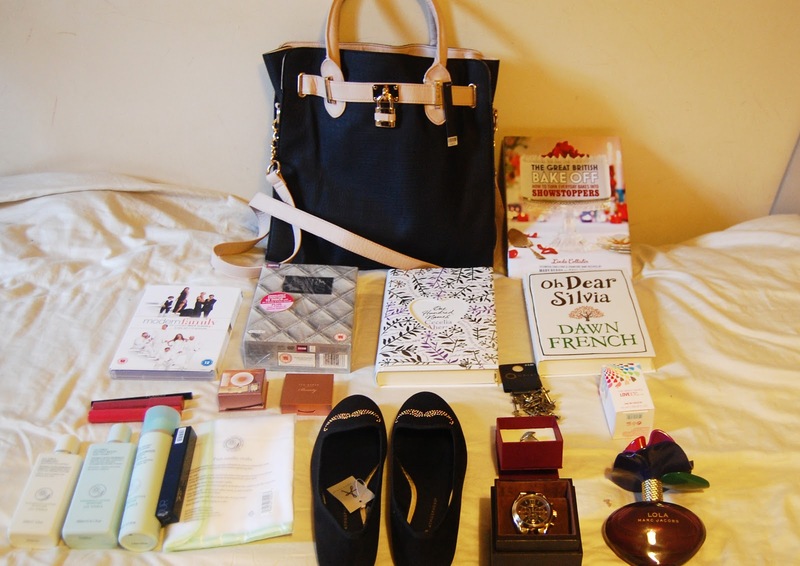 I was well and truly spoiled this year. But I did return the favour and spoiled my parents and brother too. We had a lovely day together, my parents, grandparents and auntie and uncle all had a lovely day watching films, eating good food and playing games. Thats the best thing about Christmas, how happy everyone is! 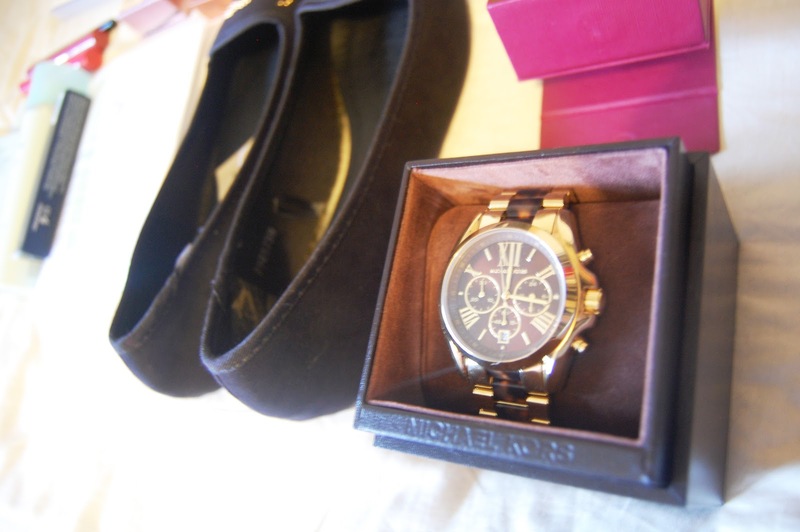 But my favourite present definitely had to be the Michael Kors watch. I didn't know what I wanted and it was between a camera and a watch, but I chose the watch. It's something I'll definitely look after, I've barely taken it out of the box. I got some great box sets including Abfab, and books by Dawn French an Cecelia Ahern as well as a cookery book. My mother knows me well. 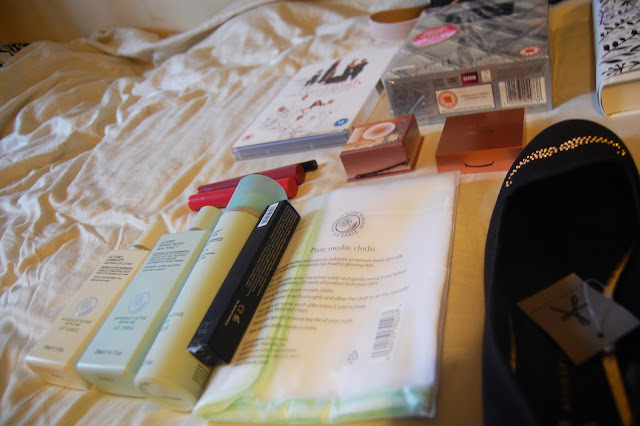 I got some lovely perfume and make up bits too for the beauty lover in side of me. I received some clothes too which will be featuring in a outfit post soon if I can pull my finger out. Anyway despite getting struck down with the lurgy I've had a lovely Christmas period this year and spent loadsa time with friends and family and although I've had to work I've felt relaxed this Christmas. It was definitely an up on last year when my mum put her hand through a glass plate and sliced her hand open! Hope you all had a lovely Christmas and had lots of laughs. Now for New Year Celebrations. Woohoooo. Ooh someone did well this year! Lucky you!